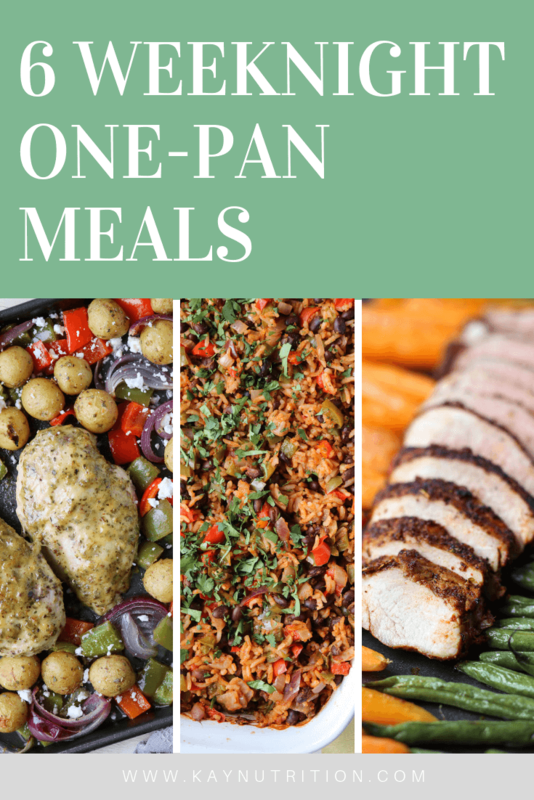 I’ve shared a ton of one-pan meals and one-pot dishes on the blog, why? 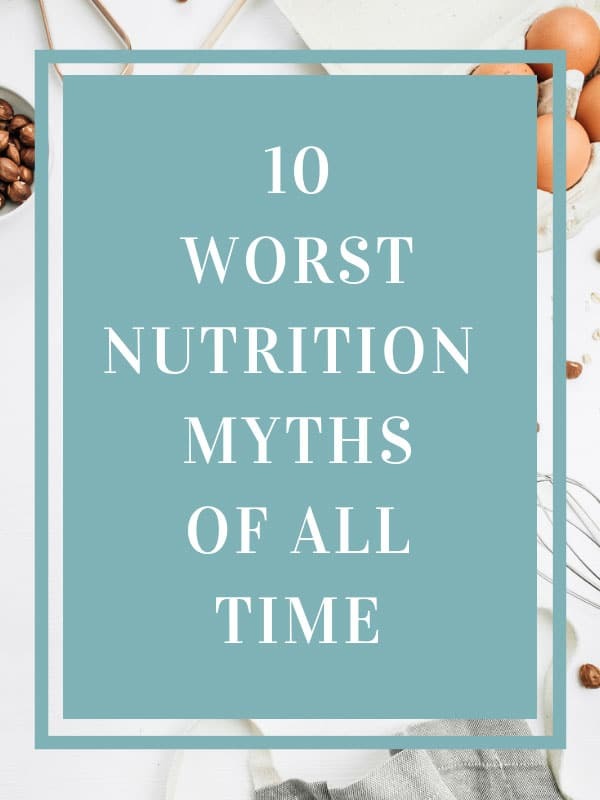 Because that’s exactly how I like to cook myself! 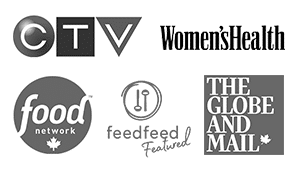 After a long day at work, it can be tough to get motivated in the kitchen, but that’s where one-pan meals come in. Simply pop them in the oven, walk away, and you can sit back and relax while dinner cooks itself. 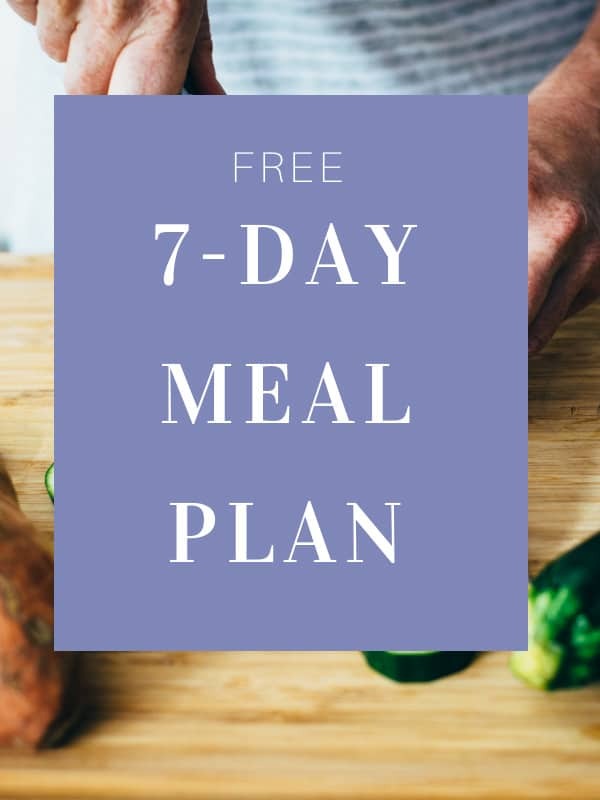 So here is a round up of 6 of my favourite (and reader’s favourite) simple weeknight one-pan meals that feed a crowd or make plenty of leftovers for a week’s worth of delicious lunches. 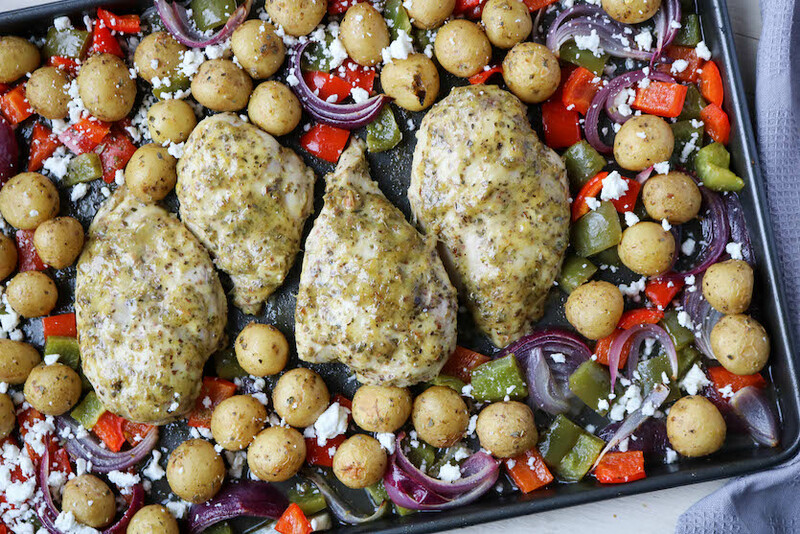 This Greek Chicken Tray Bake is a simple one-pan meal that’s ready in 30 minutes, making it the perfect weeknight meal with plenty of leftovers for a week’s worth of delicious lunches. 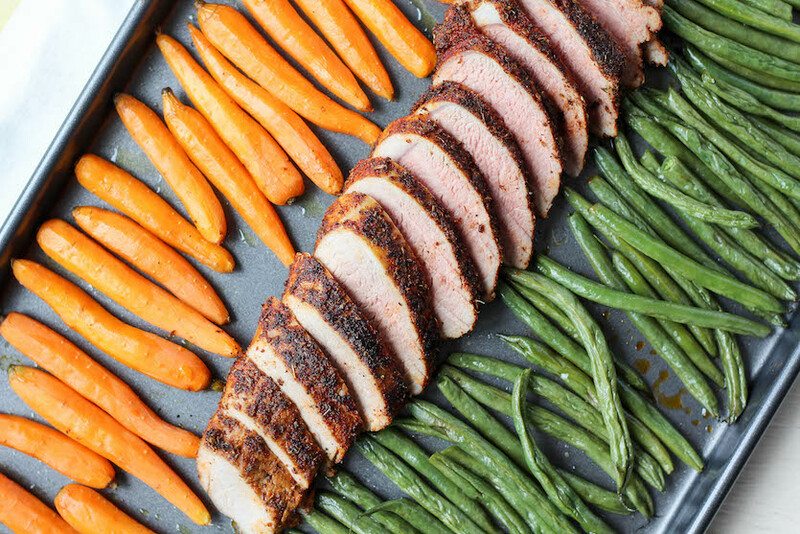 Loaded with vegetables and a little spice, this Spice Rubbed Pork Tenderloin works well on its own air paired with a big green salad for a quick and easy weeknight meal. 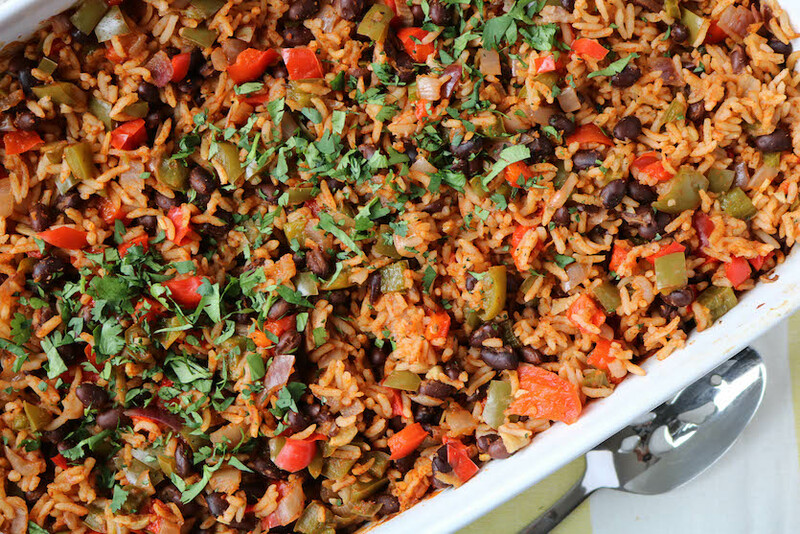 This Mexican Baked Rice Casserole is a simple one-pan meal loaded with vegetables and plant-based protein making it great for breakfast, lunch and dinner alike. 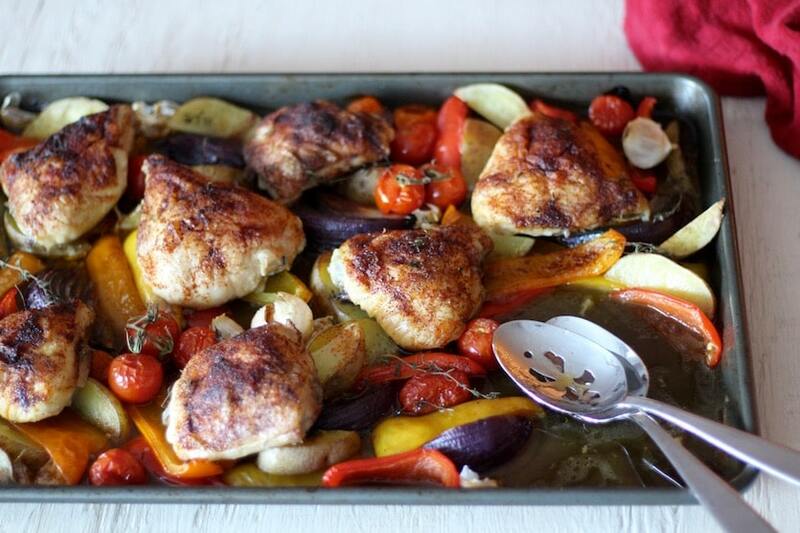 This Spanish Chicken Tray Bake is a one-pan meal that will wow dinner guests every single time. Made with chicken thighs, this dish is packed full of flavour, while being incredibly simple to prepare. 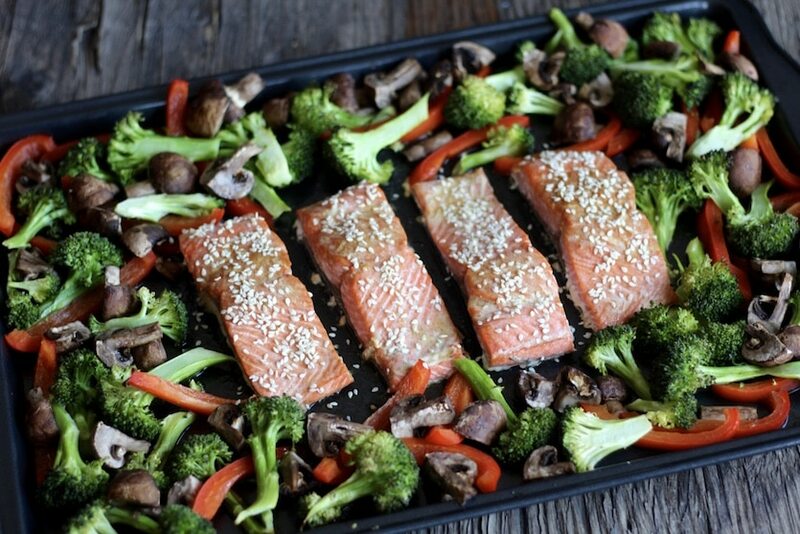 Ready in under 20 minutes, this Asian Salmon Tray Bake is a one-pan version of a stir-fry. 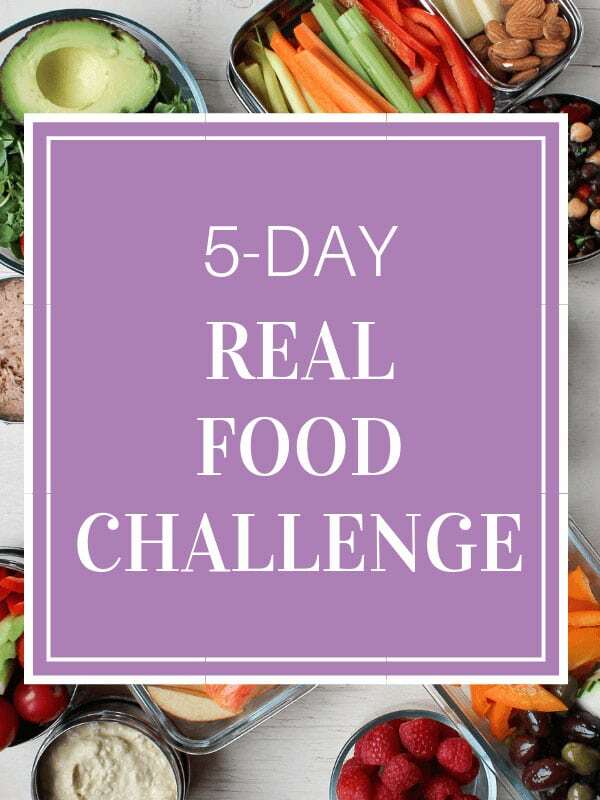 Serve it on its own or with a side of rice for a simple weeknight meal. Perfectly cooked rice and perfectly cooked chicken in one single pan? 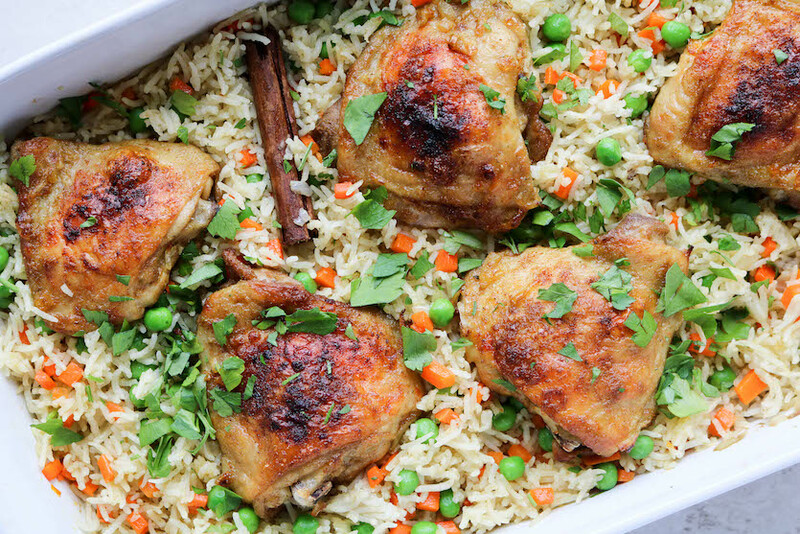 This Oven-Baked Chicken and Rice Pilaf is a simple one-pan meal that feeds a crowd with lots of leftovers. 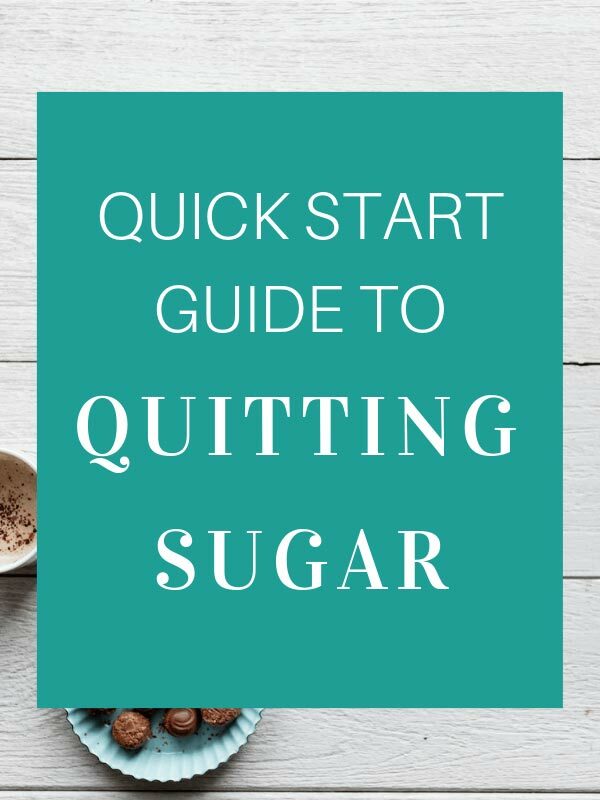 Love these recipes and want more? 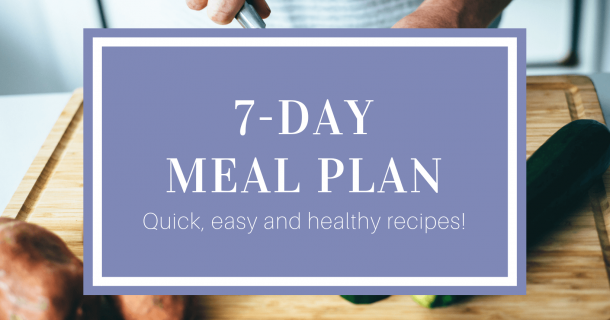 Download my free 7-Day Meal Plan with lots more quick and easy recipes!